Feeling overwhelmed by the amount of things you do? Feeling like you are somehow ‘doing it all wrong’ and questioning the choices you are making? Talking to yourself with self-doubt and negativity? Not laughing or smiling at all during your day? Getting pulled in too many directions and that you are about to bust at the seams? Listen to the messages of your inner GPS? Propel Yourself forward toward greater success? Do you want to step forward into your brilliance this year? Do you feel like NOW is the time for you? If you said YES, then the Soul-Wise Living 2013 Introduction to Soul Coaching® Program is for you. This program will lead you QUICKLY to a new level of discovery of what you truly desire and how to easily and effortlessly go about getting it? This system gets you to clear away mental, emotional and physical clutter so that you can easily hear the inner wisdom of your soul and follow it’s advice. As a Certified Soul-Coach®, I can tell you that once you’ve figured out how to create stillness with in you and listen to your inner GPS, you will look at your work, your business, and your life with whole new meaning. You see, I was where you are ~ probably even more so. I once suffered from severe clinical depression and only see the glass as half full. I had little joy in my life but wanted so much to be happy. After finding the answers to overcome depression, I still had no clarity in my life. I didn’t know my purpose until I discovered tools within this course to be invaluable to my success as a business owner,a therapist and an individual who wants much Joy, Love and Harmony in my life. And you can too! In my search for this kind of freedom, I found the Soul-Coaching® Program. It has become the foundation that supports my belief that Anything Is Possible and in stepping forward to re-aligning for abundance and purpose. ~ Cory Westby Loos, Speech-Language Pathologist, Washington State. The 28-day Soul Coaching® Program is a powerful program. It is a process that takes you to your spiritual source and helps you find meaning and sacredness in your everyday life. It allows you to take an honest look at yourself and your life, face fear, release old negative patterns, get motivated and step boldly and joyfully into your future. By participating in this program, you will gain clarity of purpose and find success in whatever you wish to achieve. Is it time for you to take action and achieve more confidence? Is it time that you put yourself first in order to better serve others? Is it time to get rid of being just ‘fine’ when everything around you seems topsy-turvy? Is it time to STOP feeling exhausted? Have you told someone ‘things are fine’ while everything around you seems topsy-turvy and you don’t know which step to take next? When you tell the truth as your soul knows it, your energy increases and when you don’t tell the truth, you become depleted. You may be exhausted simply because your Soul knows differently. By going through the soul coaching program, you begin to have more confidence, be more positive and live your truth. You gain energy and are able to move forward with joy and abundance! The 28-day Soul Coaching® Program is a spiritual journey that is divided into four one week periods. This program is created by Denise Linn. She believes that our memories, beliefs and emotions are tied in some mysterious and organic way to the elements of nature. Each week is dedicated to one of the four elements: Air, Water, Fire and Earth and is tied into discovering more about our inner wisdom. And, on this path, if you hit the inevitable roadblocks, I will be there as a certified Soul Coach™ to guide you through any challenges. Sue Rickenbacher, Translator, Chicago, Ill. If you are ready to make the changes within your life and live a life you truly desire, then continue on!!! This is the ONE CLASS that will spearhead you toward massive growth and change. BONUS #2: Weekly Audio Meditations based upon the Element of the Week to create additional foundation for your success! ~Michelle Elder, RN, BSN Portland, Oregon. Our Success is fulfilled by our own inner clarity and the intention we set for them. I believe that everyone has an innate ability to be their own success. The choice is ultimately yours! Will you choose to continue on as you are or will you choose to embrace what you truly desire? I believe that everyone can learn to listen to their inner wisdom with greater clarity and step into their OWN SUCCESS, the question is do you want to take this opportunity to embrace all that you are? 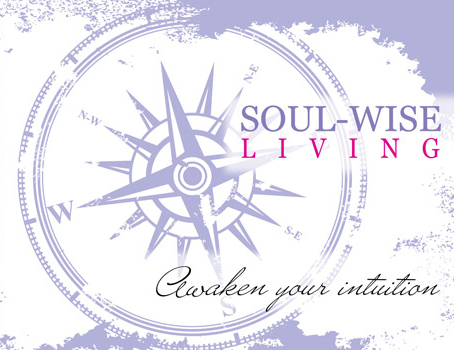 If yes, the Soul-Wise Living 2013 Introductory Soul Coaching® Program is for you then REGISTER now ~ The Introductory Week begins January 14th and the program begins January 21st! Step into a New Year filled with clarity, joy and abundance. Your Time is NOW. PS. The BONUS and Special Pricing is for a limited time only is only until Monday, December 31st!!! And, with the holiday approaching and all of the to-do’s that involves, you may want to register NOW to secure your spot! PSS. If you have any questions, feel free to e-mail Laura@soulwiseliving.com and I will do my best to personally get back to you within 24 hours!